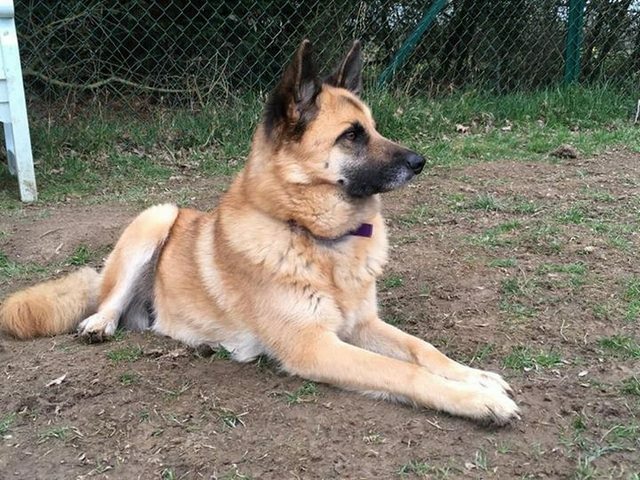 Soppy Sausage is a gorgeous 3 year old female Cross-Breed with some German Shepherd in her. She is loving, curious and full of live and energy. Great with people. Very chatty and loves gentle tummy rubs. She is perfectly behaved in the home. She is a real character. She knows basic commands, is great in the car and is making good progress with recall training. She is very bright. Soppy Sausage can be reactive to dogs she doesn’t know and other animals, and she gets a little anxious in response to changes in her routine, isolation and a noisy environment but she is never aggressive. 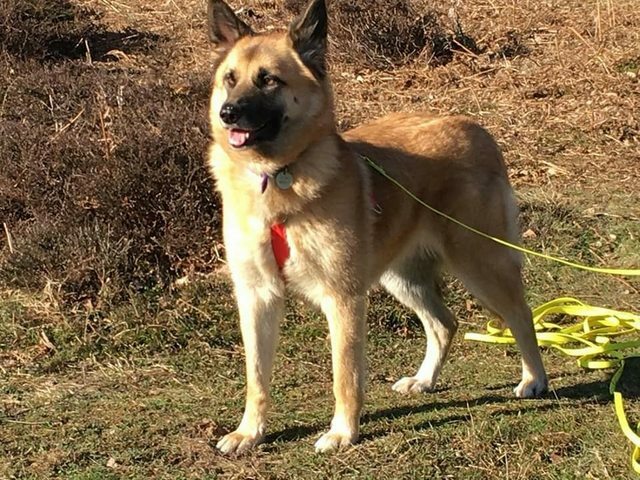 She requires a calm environment with experienced and patient owners who are committed to continue with her training and can spend time with her. 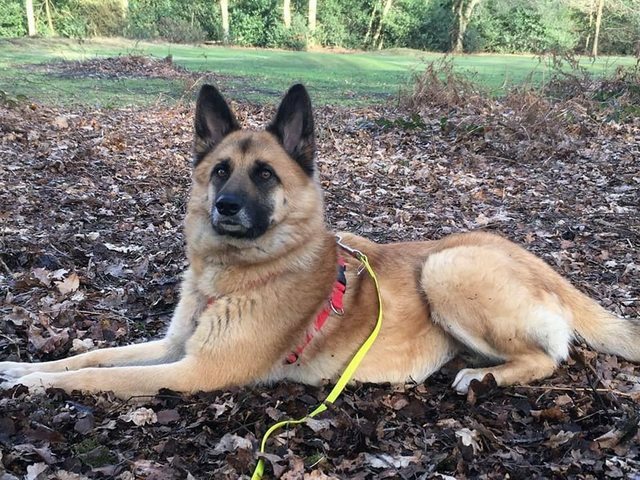 She has no problems with children but because she does not like noise, she would suit a home with no young children or a home with teenage dog savvy children only. She can be the only dog in the household or as a companion to an appropriate and balanced male dog. This is an urgent appeal because there are tensions between Soppy Sausage and a resident female dog at the foster home which has resulted in the dogs having to be kept apart a situation which cannot continue for too long. She is fully vaccinated, microchipped and neutered. Staying in a foster home in Kent.